EAW028468 ENGLAND (1950). 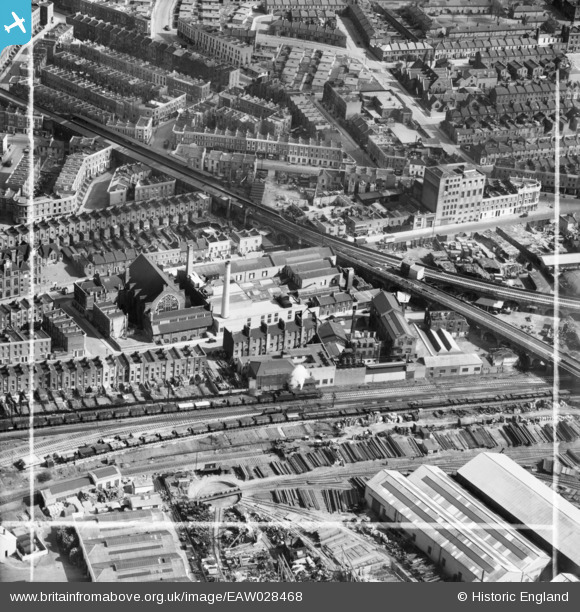 The Devon Cleaning Works, Holy Trinity Church and environs, Notting Hill, 1950. This image was marked by Aerofilms Ltd for photo editing. Pennawd [EAW028468] The Devon Cleaning Works, Holy Trinity Church and environs, Notting Hill, 1950. This image was marked by Aerofilms Ltd for photo editing. LMS Class 5 locomotive with 'domeless' boiler.